In order to enable the Mailchimp integration you need to be either a Leadfeeder Premium or Trial user. 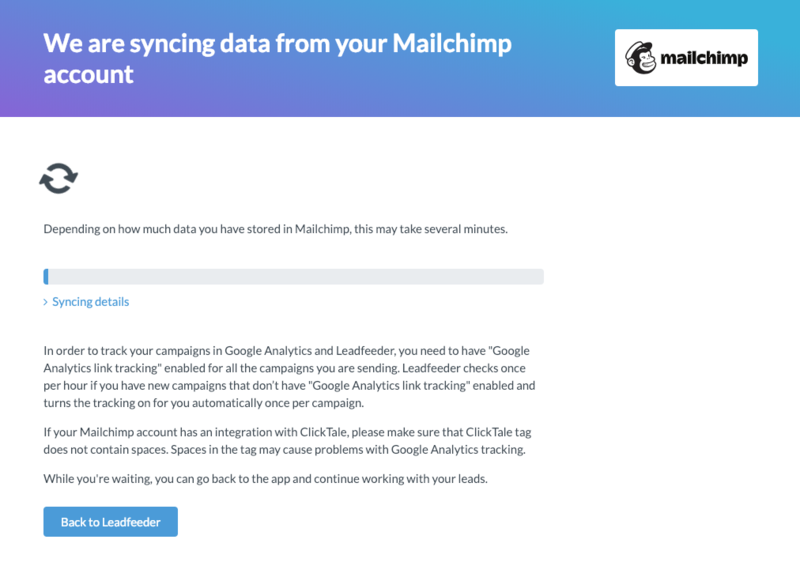 How do I connect Mailchimp with Leadfeeder? 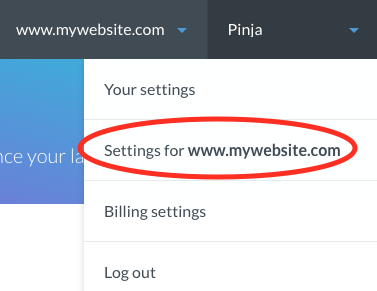 STEP 1: Go to your settings by clicking your name on the right upper corner and selecting Settings for... from the menu. STEP 2: Go to tab Website and select Overview on the left side. STEP 3: On the next page, click Connect next to Mailchimp. STEP 4: You will be taken to our integrations page. Follow the instructions from there to complete your integration. 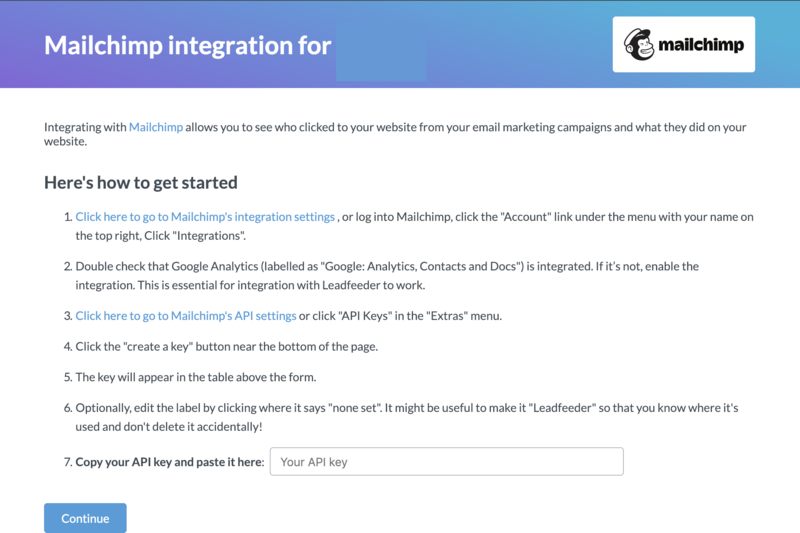 NOTE: You have to turn on Google Analytics integration in Mailchimp. STEP 5: Next you will see this screen as Leadfeeder loads your data and that's the set-up complete. STEP 6: While it's loading, you can just head Back to Leadfeeder and continue whatever you were doing. Check this article to see what to do once the integration is all set up. How do I write a great follow-up sales email?